Have you heard of the Heard? It’s a celebration of Native American art, culture and history—broadly, that of the indigenous peoples of both western continents; specifically, the tribes of the Southwest. The Heard Museum is one of Phoenix’s most important places, revealing the traditions of those who lived here first, and the continuing creativity expressed and way of life experienced by their descendants today. The museum’s collections are formidable, featuring 40,000 pieces by native artists and artisans and the Billie Jane Baguley Library and Archives, home to 35,000 volumes of biography, anthropology, art history and creative writing. The permanent collection contains a staggering array of baskets, beadwork, jewelry, pottery and textiles, much of it the output of the Navajo, Hopi and Zuni cultures. Fine art by 20th century and contemporary Native American artists is also included, as well as a timeline of Southwestern pottery that stretches back to prehistory—and many of the holdings can be seen online. 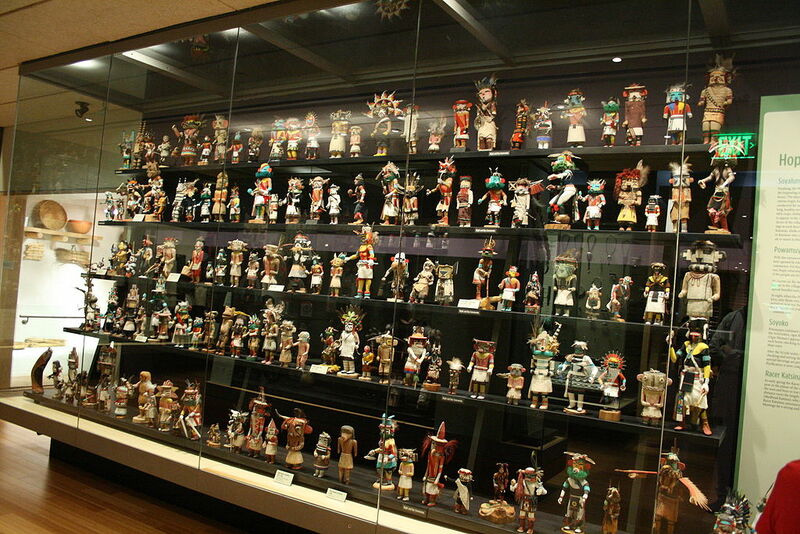 A dozen galleries contain exhibits permanent, semi-permanent and rotating. The central exhibit is called “HOME,” and is devoted to the stories and art of native peoples of Arizona and the surrounding states. Included is a Navajo hogan, a Pueblo oven, a collection of nearly 500 Hopi katsina figures, and two huge art installations, and that’s just the beginning. The hands-on display “Every Picture Tells a Story” is perfect for kids, while another focuses on the history of federally-run Native American boarding schools. Outside you’ll find the American Indian Veterans National Memorial, including a majestic bronze sculpture by blind artist Allan Houser. Temporary exhibits come and go every few months, a half-dozen at a time, focusing on individual artists, specific art forms or Native American involvement in historical events. If you enjoy public art lectures and educational courses, the Heard Museum has something to offer almost every week, sometimes with different presentations worth coming back for running several days in a row. By far the most famous event is the Heard Museum Guild Indian Fair and Market, which has been running every year for more than half a century. Held every March, the fair regularly draws crowds of 15,000+ and features the work of over 700 Native American artists in juried competition. The World Hoop Dance Competition, also held at the museum, is worth coming back for each February. Simultaneously a sport and narrative performance art, the storytelling dance is found in many indigenous cultures and has in the past century become a pan-native art form. Seeing all this art might make you want to take some home, and you certainly can—rather than the corny gifts many museum stores feature, the Heard Museum Shops sell authentic works of art by native artists. And if you’re hungry there’s the Courtyard Café, with Southwestern fare and permanent discounts for museum members. The museum can be found at 2301 North Central Avenue, Phoenix, AZ 85004.